Five years ago next month, four days before Superstorm Sandy made landfall in New Jersey, Rutgers University-New Brunswick marine scientists launched a data-collecting, submersible robot glider in front of the massive storm. Their paper on the data gathered by that swimming robot – published recently in the Journal of Geophysical Research: Oceans – explains the peculiar ocean systems that helped make Sandy so destructive. Their data has also contributed to models now being used to forecast the intensity, size and track of such storms. The authors are Travis Miles, Greg Seroka and Scott Glenn. The robot glider they used was one of a fleet that the Rutgers University Center for Ocean Observing Leadership (RU COOL) is deploying in oceans across the globe, along with other new technologies such as high-frequency radar, that have helped change the field of oceanography and the way scientists understand weather, marine life, and related areas. The Rutgers robot gliders – about 6 feet long, bright yellow and resembling jet airplanes – carry sensors measuring conductivity, temperature and depth. For their Sandy deployment, Miles and co-author Greg Seroka added a velocity sensor outside the hull, to measure the speed of the water through which the robot passed. That sensor provided the data on the effects of Sandy’s winds on the Cold Pool. Seroka is now a staff scientist with the National Oceanic and Atmospheric Administration. He and Miles were graduate students on October 25, 2012, the day they launched their robot glider in front of Sandy. The study’s other co-author, Scott Glenn is Distinguished Professor of marine and coastal sciences in Rutgers-New Brunswick’s School of Environmental and Biological Sciences, and co-director of RU COOL. Though the science generated by that glider’s collected data was rigorous, the deployment itself was a bit spur-of-the-moment, Miles recalls. The group wasn’t certain their glider would survive the storm, or that they’d be able to recover it if it did. When the storm was over, they had trouble finding an available boat and functioning dock from which to recover the device. But given the data’s usefulness in helping to forecast storms and potentially save lives, the effort was a clear success. Miles and Glenn are now working on creating a network of “sentinel” gliders to cruise continuously off the Atlantic coast, helping to provide data for the models used to forecast hurricanes. Why are malaria, tuberculosis and hepatitis so prevalent in developing nations? Any why are most vaccines against these pathogens so ineffective? Two Rutgers New Jersey Medical School scientists believe they may have found an answer in parasitic intestinal worms – which infect more than 1.5 billion people worldwide and can weaken the immune system’s ability to fend off disease, rendering vaccines less effective. George Yap and William Gause received a $3 million grant from the National Institutes of Health this spring to study how worms prevent vaccinations from bolstering the immune system. Their results could aid in the fight against diseases including malaria and tuberculosis, which kill more than 1 million and 1.8 million each year respectively, according to the World Health Organization. The pair previously found that worm infections weaken the immune system’s fighter cells – also called CD8 cells. Yap and Gause will spend the next five years studying CD8 cells in worm-infected mice trying to pinpoint exactly how secretions produced by worms impair those fighter cells. The hope is that understanding how fighter cells are weakened by worms will lead to the development of vaccines that can circumvent this response and remain effective in non-industrialized nations where worm infections are rampant. Why do doctors not just treat worms – also known as helminth – instead? Parasitic worms – coevolving with vertebrates for 400 million years – are among the world’s most common infections and affect the most deprived communities. They are spread by eggs in human feces which contaminate soil in areas with poor sanitation. Over treating populations for worm infections may lead to the development of drug-resistant strains, said Gause, who has been researching helminths and their impact on the human immune system since 1985 and is conducting a tandem study on the parasite with another NJMS peer, George Hasko. This second five-year, $3.2 million study, also awarded by the NIH, will examine how the immune system actually detects the worm infection, and then becomes activated to protect against the parasite while weakening the very immune components that protect us against microbes, like tuberculosis. When combined, the results of both NIH funded studies will help guide scientists working to help those living with too many worms – as well as those living with too few. Scientists, including Gause and Yap, theorize that without worms to attack, the immune system attacks itself, leading to a rise in immune disorders like allergies, diabetes and IBD (inflammatory bowel disease). No science papers are cited in this article. Scientists have discovered a new kind of antibiotic — buried in dirt. Tests in animals show that it is effective against drug-resistant bacteria, and it could lead to desperately needed treatments for deadly antibiotic-resistant infections. Almost our entire arsenal of antibiotics was discovered in soil, but scientists haven’t gone digging for drugs in decades. That’s because, “screening microbial extracts from soil is thought to be a tapped-out approach,” said Richard Ebright, a scientist at the Waksman Institute of Microbiology at Rutgers. Soil has been “over-mined,” agreed Kim Lewis, director of the Antimicrobial Discovery Center at Northeastern University. But there is still a wealth of useful compounds under foot; we just have to take a closer look. Now scientists at the Waksman Institute — named for Selman Waksman, who developed the soil-screening technique — and colleagues have combined the tried-and-true approach with new technologies to discover a new weapon in our molecular arms race against killer pathogens. A study published Thursday in the journal Cell describes a compound called pseudouridimycin (PUM for short) discovered in Italian soil that could be a game changer in bacterial defense. Most antibiotics kill bacteria that are happily multiplying in infected patients. But PUM is predicted to also kill dormant bacteria, such as those that persist in slime layers on our desks and door handles. It does this by inhibiting an enzyme that is required for virtually every function in every organism: polymerase. Polymerase transcribes DNA into molecular messages called RNA. RNA serves as instructions for the construction of all our cellular proteins. Ebright specializes in polymerase. He and his team have been searching for more than a decade for compounds like PUM that disrupt polymerase. In the new study, they show that PUM not only inhibits polymerase, but it does so in a surprising way. PUM mimics one of the building blocks of RNA. These building blocks fit into polymerase like a lock and key. To evolve resistance, the bacteria would have to change its polymerase just enough to exclude the impostor PUM while still allowing all the right keys to fit. That makes PUM about 10 times less likely to trigger antibiotic resistance than traditional antibiotics. In the lab, PUM killed 20 species of bacteria. It is primarily effective against strains that cause strep and staph infections, some of which are resistant to multiple antibiotics. PUM also cured mice infected with a strain of bacteria that causes scarlet fever. Importantly, PUM specifically interacts with polymerase in bacteria and not human polymerase. This is surprising, because the polymerase for bacteria and humans is thought to have a very similar shape. Compounds that act by impersonating RNA building blocks have been used in the past to treat viruses including HIV and hepatitis C, but scientists didn’t think that was possible for bacteria. Now that we know this approach can also work against bacteria, libraries of polymerase inhibitors that have been used against viruses can be screened as possible antibiotics. The Rutgers team, including lead author Stanislas Von Euw, a post-doctoral research fellow in Falkowski’s lab, details its findings in a pioneering study published online today in the journal Science. Using a materials science approach, the team tapped several high-tech imaging methods to show that corals use acid-rich proteins to build rock-hard skeletons made of calcium carbonate minerals. Corals are largely colonial organisms that harbor hundreds to hundreds of thousands of polyps (animals). Reefs built by stony, shallow-water coral species are among the world’s most diverse ecosystems. Thousands of species of fish and other sea life rely on reefs for survival, and thousands of human communities count on reefs for food, protection and jobs, according to the National Oceanic and Atmospheric Administration. Andres Villegas grew up in Elizabeth, the son of a single mom who had emigrated from Ecuador. He was uncertain about his future, and undecided about college. But at Rutgers he found his calling in the research labs of scientists breaking new ground in the study and treatment of mental illness. 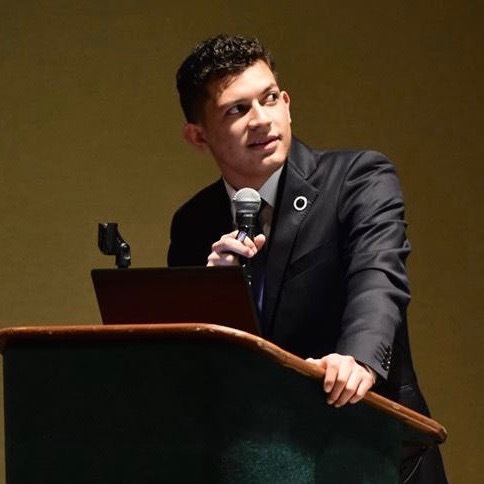 Villegas emerged as a top student in the competitive field of neuroscience, leaving a lasting impression on his professors. “Andres is among the brightest undergraduate students that I have encountered in 30 years at Rutgers,” says Sidney Auerbach, a professor in the Department of Cell Biology and Neuroscience, who advised Villegas. Villegas graduates May 14 from the School of Arts and Sciences, and has been accepted into a prestigious Ph.D program in neurobiology and behavior at Columbia University. He’s committed to working on research aimed at finding new treatments for psychiatric illnesses such as schizophrenia and bipolar disorder. A new center is bringing together researchers from Princeton and Rutgers universities to apply computational modeling to the understanding of psychiatric diseases. The Rutgers-Princeton Center for Computational Cognitive Neuropsychiatry, which will open its doors this month, aims to improve the diagnosis of mental disorders, better predict their progression and eventually aid in developing treatments. The center fosters collaboration between computational neuroscientists, who develop models of brain activity and cognitive processes, and clinical researchers who work directly with patients. The studies conducted at the center will address disorders ranging from depression, anxiety and schizophrenia to obsessive-compulsive disorder and substance abuse. The center, located at Rutgers University Behavioral Health Care in Piscataway, features a 1,400-square foot facility with rooms for conducting patient intake and testing. It is supported by matching funds from Princeton and Rutgers. “We can learn a lot about how the brain controls behaviors when we create computational models of how life events affect brain circuits, and how these circuits change over time. This center will allow us to bring this knowledge into the patient setting,” said Yael Niv, who co-directs the new center and is an associate professor of psychology and the Princeton Neuroscience Institute. “We still lack an understanding of the biological basis of many of the symptoms of psychiatric disorders, and computational approaches can help us start to close that gap,” said Steven Silverstein, co-director of the center with Niv. Silverstein is the director of the Division of Schizophrenia Research at Rutgers University Behavioral Health Care, and a professor of psychiatry at the Rutgers-Robert Wood Johnson Medical School. Over the last decade or so, neuroscientists have turned to computational modeling to help them understand how brain activity gives rise to behaviors. For example, researchers can build a computer model that represents how two areas of the brain communicate to generate behavior, and then block that communication to see what happens to the behavior. The researchers can then test the model’s predictions by comparing them to the real-life behavior of human volunteers. At present, most of these tests are done with community members or students. The new center will enable researchers to test models of disorders like depression and bipolar disorder in individuals living with those conditions. One goal of the research is to better understand the brain’s circuitry and what goes awry in mental disorders — how brain regions are connected, what is the role of each brain area, and how disruptions in brain circuitry can give rise to symptoms. Rutgers has one of the country’s largest academically affiliated mental health care systems, serving over 12,500 people each year. Princeton is a leading institution in the field of computational neuroscience. Also participating are collaborators at the Max Planck-UCL Centre for Computational Psychiatry and Ageing Research. Dianne Barba changed her career trajectory after an operation to remove brain tumor. Dianne Barba’s decision to become a nurse came upon her, suddenly, a little more than two years ago as she lay in a hospital bed the day after undergoing brain surgery. She had just gotten word that the tumor removed from the frontal lobe of her brain, as doctors had suspected, was benign. “The machines whirring, the pace of the hospital, the nursed who cared for me, I loved everything. I was in a lot of pain, but I also felt happy, because I didn’t have cancer, and I realized in that moment I would become a nurse,” said Barba, 27, who will earn her B.S. degree this month from Rutgers’ School of Nursing, her second undergraduate degree. Until that experience, Barba had no desire to enter the nursing profession. “My mother is a nurse, and my sister is a nurse in the Navy,” she said. “But I was never interested. I just didn’t think it was for me.” She majored in early childhood and special education at the University of Scranton and, after graduating in 2011, taught at several preschools in Pennsylvania and New Jersey. During a four-hour operation at St. Joseph’s Medical Center in Paterson, a surgical team removed a “benign mature teratoma” – the size of a lemon – which she was later told may have been growing slowly in her brain from birth. Barba came home to a grueling recovery. “I didn’t get out of bed for a month. It was hard to walk, to feed myself. I was dizzy, and my head hurt,” she recalled. But during that period she had enough strength to begin investigating nursing schools, and was particularly excited about the Second Degree Baccalaureate Program at Rutgers’ School of Nursing, which one of the nurses in the hospital had told her about. Deciding to give up teaching, she applied to the Rutgers program in May and that summer enrolled in prerequisite courses in microbiology, chemistry and nutrition online and at Bergen Community College. In November, she found out she’d gotten in. “I was so excited to be accepted at Rutgers, and by the time I started school in January, I felt totally normal,” Barba said. Through the 14-month program, she’s gained hands-on skills in clinical rotations at hospitals in New Brunswick, Edison, Perth Amboy and Old Bridge. She’s worked on medical-surgical floors, in pediatrics, the psychiatric ward, the intensive care unit and the mother-baby unit, which is her favorite. “I love babies and taking care of new mothers. It’s such an amazing time in their lives and I feel honored being able to share it with them,” Barba said. She also has made great friends. The program is intimate, with a graduating class of about 70. “Each of us is coming to nursing from a different place – psychology, finance, biology, education – and the students are from so many ethnic backgrounds, said Barba, who emigrated with her family from the Philippines to New Jersey as a toddler. Since March, she’s been working per diem as a nursing assistant at Newark Beth Israel Medical Center. Along with looking forward to graduation, she is busy studying for her NCLEX- RN exam (National Council Licensure Examination), which will allow her to practice as a registered nurse. And though her dream is to work in a NICU (neonatal intensive care unit), she’ll be happy with whatever the future holds, which sometime during the next two years will include a wedding. In December, RJ proposed at Rockefeller Center in New York City.